On 25th September 2018, Bollywood actor Tanushree Dutta alleged that she was sexually harassed by director-actor, Nana Patekar on a film set in 2008. Speaking on television, the actor recollected her struggle after the incident. The Tanushree Dutta interview, single-handedly sparked a #MeToo movement in India. Thousands of women took to social media to share their experiences of sexual harassment, assault, violence and sexual violence. 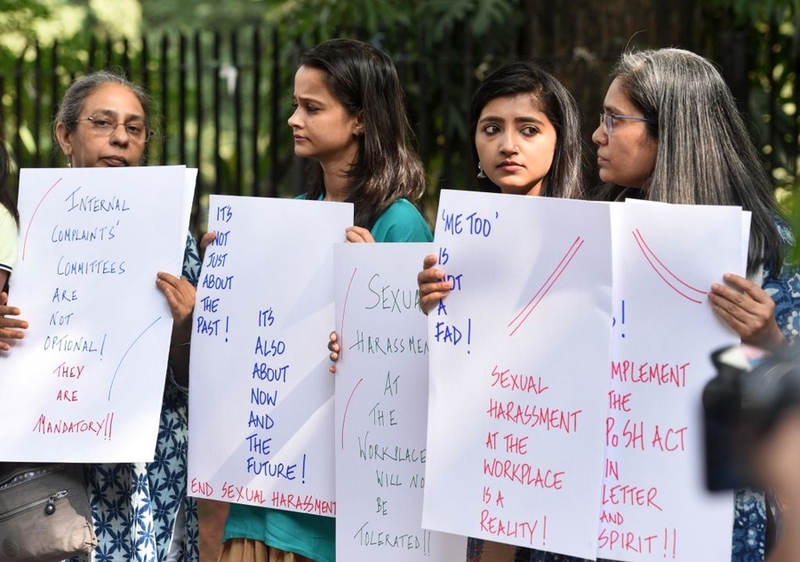 The ensuing movement sparked a discussion about harassment and gender equality in India. As more and more women shared their stories, the scandal engulfed politicians, media workers and actors. The movement has also shone a spotlight on minority women's rights in India. Women's rights groups claim that the majority of stories reaching the mainstream are from non-Dalit women. While the #MeToo movement has broken the culture of silence among women, some activists claim the movement could be enhanced by including Dalit women's experiences. In particular, activists highlighted that Dalit women suffer the intersectional impact of caste and gender in Indian society. As previously documented by the CIVICUS Monitor, the murder of RTI activists in India has been a cause for grave concern. In early September 2018, another RTI activist was brutally murdered in Himachal Pradesh. Kedar Singh Jindan was killed at a remote location in Sirmaur district, after being assaulted and killed by being repeatedly run over by a car. Jindan, a local activist working to promote the rights of marginalised communities, gained prominence after uncovering a corruption scandal involving a local politician. The scandal saw the fraudulent mis-allocation of funds designed to help families below the poverty line. His death marks the 73rd RTI activist to be murdered in India since 2005. Although police initially dismissed the case as a road traffic accident, a murder enquiry was subsequently opened into Jindan's murder. Three people were later arrested in connection with his death. In addition, Jindan's family have called for the nationally focussed Central Bureau of Investigation (CBI) to initiate an investigation into his murder. As previously covered in the CIVICUS Monitor, India has witnessed a clampdown on student activism in 2018. On 20th September 2018, tensions ran high at Manipur University after a series of raids on students. Officials claim the raid was conducted after an accusation of assault by Prof. K Yugindro, the pro-vice chancellor of the University. Yugindro alleged that he was manhandled by students at the university campus. Professor Yugindro's appointment to pro-vice chancellor by vice-chancellor Professor Adya Prasad Pandey had stirred controversy. Professor Pandey is currently suspended from service pending an inquiry into charges against him for derelictions of duty. The ensuing raids saw 89 students and six teachers arrested. The mass arrests spurred protests leading to clashes between students and Indian police. At least 10 students sustained injuries after the police fired tear gas and threw missiles at the protesting students. "They did not allow them to leave the place and without any reason and started assaulting the protesters who had different physical disability of various degrees. They used water cannons and also started indiscriminate ‘lathi charge’ on the peaceful protestors. The police personnel were so aggressive and rude that without considering the physical condition of the people with disability, they used excessive unreasonable force to beat the innocent disabled persons who can hardly move themselves normally." HRDA India urged authorities in Assam to initiate an independent investigation into the incident. Footage of the confrontation can be seen in the video below. On 28th October 2018, hundreds of relocated families in Mahul, Mumbai staged protesting by camping at a spot in Vidya Vihar, Ghatkopar. The mobilisation was held to demand better living conditions in the area which hosts oil refineries and a chemical fertiliser plant. Around 5,500 families, comprising 30,000 people from various slums along the Tansa pipeline, were moved to Mahul after a court-ordered demolition in 2017. Various state agencies have deemed Mahul unfit for human habitation. In the past year-and-a-half, more than 100 residents of Mahul have died due to the conditions of toxic air pollution, water contamination, and unsanitary state of the housing units. The locals say they have sent over 2,000 letters to Maharashtra Chief Minister, urging for their immediate relocation, but are yet to receive a reply. During the protest, five people were pre-emptively arrested but later released. In a separate development, women's rights have also spurred protest in India. On 12th November 2018, the Kerala government informed the Kerala High Court that it was the duty of the government to protect the fundamental rights of women devotees to offer prayers at the Sabarimala Temple located at the Periyar Tiger Reserve in Kerala. In September 2018, the Supreme Court overturned a rule of the Sabarimala temple that banned the entry of women of “menstruating age”. The temple authorities justified this practice by arguing that menstruating women are unclean and should be barred from entering the temple. The historic Supreme Court verdict observed that “the right to practice religion is available to both men and women.” As a result, the temple doors were opened to women, however, no women were able to enter due to protests outside. Protesters gathered to reject the Supreme Court's decision and opposed the re-admission of women to the temple. So far, only two women have managed to reach the main temple, both of them were protected from protesters by over a 100 policemen. In an illustration of the scale of the protests, police have arrested over 2000 people for participating in the Sabarimala temple protests. Political tension over the issue continued throughout November. The legislation used to arrest Gopal has caused controversy. Several editors, publishers and representatives of broadcast, print and digital media condemned the unusual use of Section 124 of the Indian Penal Code to prosecute an editor. “The section deals with assault on the president of India or the governor of any state with an intent to compel or restrain the exercise of any lawful powers invested in them.” The President of the Indian Newspaper Society (INS) strongly condemned the arrest of Nakeeran Gopal and appealed to the President of India to intervene in the matter.